I previously discussed the cooking show (fiction and non-fiction) on Japanese television. With all that food getting cinematically prepared, the law of gastronomic thermodynamics dictates that there should also be a whole genre of entertainment dedicated to the consumption of food. And, yes, there is. To be sure, this television species belongs to the entertainment genus of "watching other people having a good time" and "people doing interesting stuff so I don't have to." The particular advantage of the eating show is that this is an activity that everybody can participate in. 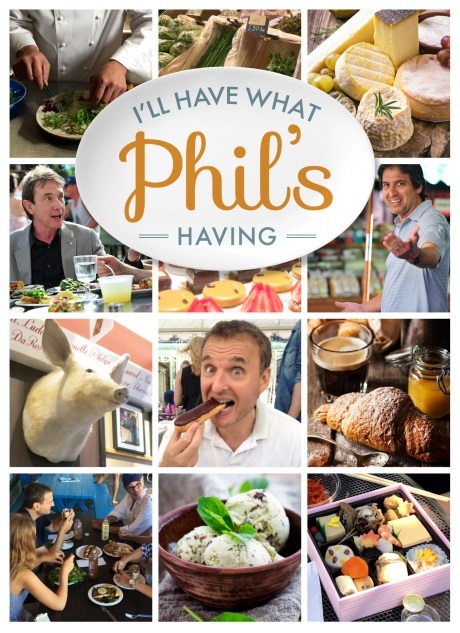 Now, unlike Phil Rosenthal in PBS's I'll Have What Phil's Having, everybody can't go flying around the world in order to sample the best and the most exotic (without a reservation or worrying about the bill). But decent approximations are not out of reach, nor is international travel these days. 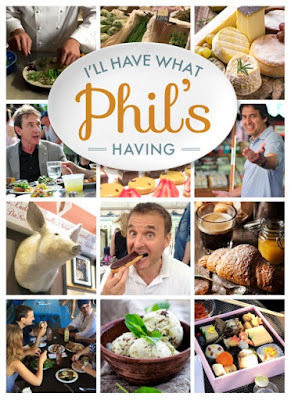 A Few Great Bakeries, also from PBS, stays closer to home and well within the budget of the average viewer. PBS has a whole suite of shows along the same lines. But getting back to Phil Rosenthal, the first episode in Tokyo struck me as pretty much identical to the Japanese version of the same genre. Rosenthal does visit two exclusive restaurants that would have the rest of us waiting for weeks on waiting lists and then forking over most of a paycheck to cover the bill. But the rest were open to anybody who knew where to go to find them and could squeeze in at the counter. I don't drink or go to bars but one of my favorite shows on NHK is The World's Most Inaccessible Bars. In this case, "inaccessible" doesn't mean a rope line and a burly bouncer only letting the "right" people in. Rather, these are pubs and diners off the beaten path, down an alley and around the back. Solidly working and middle class establishments, one of the attractions of the show is virtually hanging out with the regulars. The food and drink is only part of what keeps them coming back. The World's Most Inaccessible Bars employs the same narrative approach as Somewhere Street, with no presenter, only a pair of narrators/commentators and a first-person camera (with plenty of cutaways). However, most eating shows on Japanese television belong to the closely-related entertainment genus, "Watching B-list celebrities do interesting things." And some of them can be pretty dang interesting. 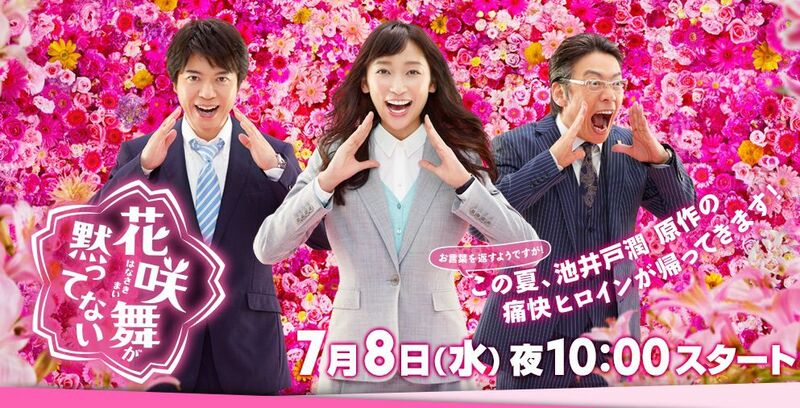 Actress Sayaka Isoyama is starring in a new travel program coming soon to LaLa TV. Sayaka Isoyama's One Cup of Bliss Women's Journey will feature Isoyama visiting various locations in Japan and enjoying their local cuisine and specialty alcohol. Of course, it's no surprise to find anime venturing into the same thematic territory. Wakakozake gives us Murasaki Wakako, a 26-year-old OL whose "favorite thing to do for relaxation is to go off by herself after work and go to various places to eat and drink, even if she's never been there before." In live-action drama, Hanasaki Mai Speaks Out is a clever police procedural about two bank examiners with a knack for uncovering financial improprieties and bringing down the high and mighty. (Hanasaki's inability to bite her tongue when confronting greedy ne'er-do-wells explains the title). Since their jobs have them traveling to banks hither and yon, she and her fellow accountant always have a restaurant guide in hand. Once the call of justice has been answered, they're on the prowl for new places to eat. That is, when they're not hanging out at the pub Hanasaki's father runs. They may have to audit to live but they definitely "live to eat."